Scheffers is proud to bring to Market our Medical Drain Line Anchor designed for patients to use during the daily exchanges of Peritoneal Dialysis. Our Patent-Pending Drain Line Anchors have innovative features built into its design to provide the user with the comfort of knowing their Drain Line is secure. Easy to use Receiver that will not let go and does not constrict flow. Hook to grab the rim of the commode upon mishaps. Guide to direct the Drain Line direction of pull during mishaps and keeps the Drain Line low and close to the floor. Fits most standard Commodes with a upper rim width 1 3/4 inches or less. We at Scheffers have put forth a great deal of effort to bring to you a product that you can trust. Constructed of Medical Grade 304 Stainless Steel insures you that this is a durable product that can withstand the harsh conditions of being subjected to the bleach solution baths necessary for sterilization. 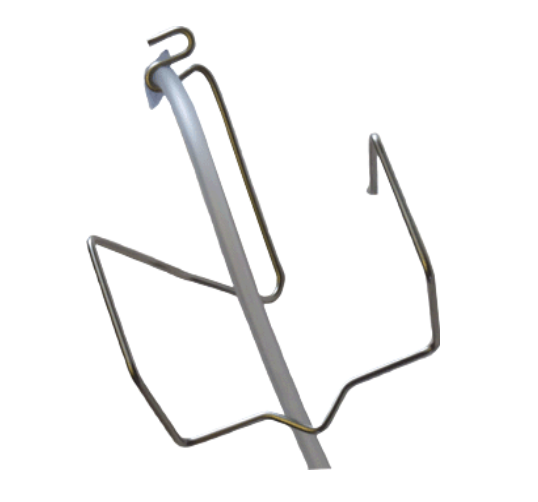 With spring type properties built into the Anchor construction makes it durable enough to with stand mishaps and still bounce back. Finally, security in knowing that this product when used correctly will not fail! 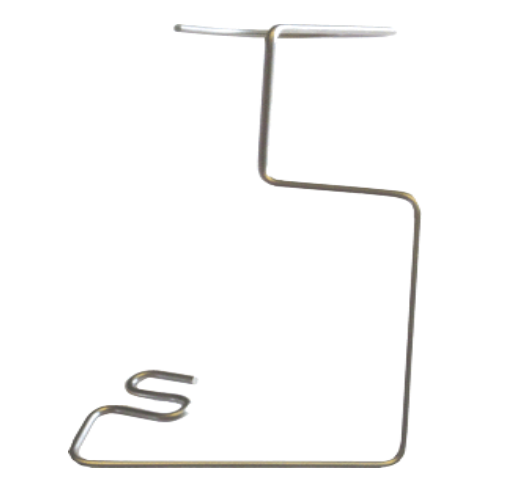 Scheffers is proud to bring to Market our Medical Drain Line Anchor designed to be used in clinics during the daily exchanges of Peritoneal Dialysis. Our Patent-Pending Drain Line Anchors have innovative features built into its design to provide the user with the comfort of knowing their Drain Line is secure. Cradle to attach the Anchor to the facet of the facilities Dirty Sink. Simplify meal planning with Mom's Meals NourishCare...fully-prepared, renal-friendly meals delivered directly to your home. Our Renal-Friendly Menu is designed by renal dietitians to support the unique nutritional needs recommended for most patients with kidney disease who are on hemodialysis, home dialysis or peritoneal dialysis. Meals are prepared by our chef to taste great and are fresh-delivered in our "fresh-lock" packaging. They will stay ready-to-eat in the refrigerator for 14 days. No need to freeze. Just microwave for 2 minutes or less and enjoy! 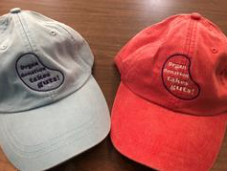 Long-Term meal support is available through many government funded programs, for those who qualify. Ask your health plan or case manager at your local Area Agency on Aging to learn more. For those who do not qualify for assistance, you may enjoy the convenience and nutrition of our meals through our Independent Care Program for just $6.49/meal. Mom's Meals NourishCare is committed to improving health through nutrition and has been providing nutrition solutions nationwide for over 14 years. Patients should always consult with their attending Registered Dietitian or physician before starting any nutritional program. 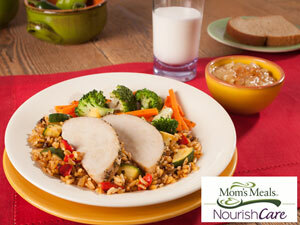 Mom's Meals does not claim to treat or cure any disease and is not a substitute for medication. MyMedSchedule™ is a great medication reminder and is free! Your personal medication chart clearly shows the times you should take each medicine or supplement, and how much to take. There are even images of your pills so there is no confusion. You can place a medication chart where you will most need it: either on the refrigerator, or in your bedroom or bathroom. And if you travel, or are just out for the day at work or shopping, you can take the wallet-size MyMedSchedule list with you. With MyMedSchedule, you even have an easy way to share your medication list with all of your doctors and dentist, and the schedule is readily available in case of an emergency. 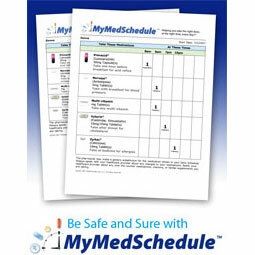 One MyMedSchedule.com user tells us, "My doctors love it when I bring my chart to each visit so they can quickly see everything I am taking." Try this free program by going to www.mymedschedule.com. You can start with your current meds, and easily update your medications as often as you need. You can even create a schedule for your other family members. You can rest easy as your medical information remains secure with MyMedSchedule. Your personal health information is protected by SSL encryption, and will not be redistributed or resold. 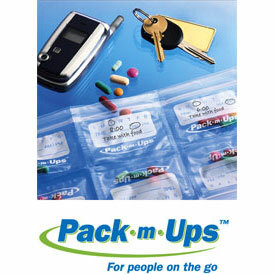 Pack-m-Ups™ are a new kind of pill organizer and medication reminder. They are convenient and easy to use, and they work well as a daily, weekly, or monthly pill organizer. Pack-m-Ups use a secure press-and-seal closure that makes it easy to open and close the moisture-resistant pill compartments. Pack-m-Ups are perforated so you can use them connected as a weekly pill organizer, or separate them to carry just what you need for the day. Pack-m-Ups are made from a durable, flexible, and transparent material, so you can view your medications at a glance. And, you can personalize the write-on surface with a pen or marker to remind yourself of the day and time to take your pills. So, leave your pill box at home and use Pack-m-Ups when you are out and about, at work, shopping, or on extended business or pleasure travel. 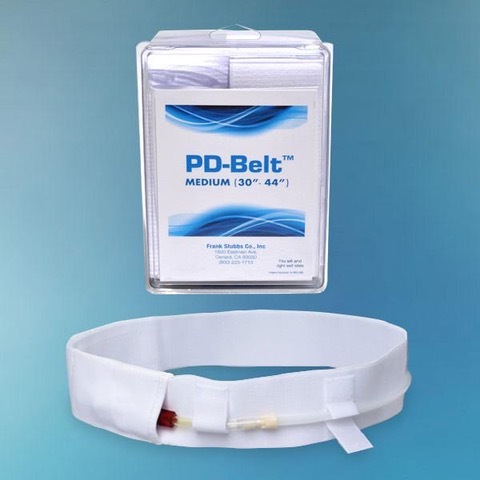 The PD Belt is a patented revolutionary product used by thousands of patients to help stabilize the exit site while securely storing the catheter tube and transfer unit. The belt was created by a former peritoneal dialysis patient for his personal use to fight bouts of peritonitis while on CAPD and CCPD. The belt was so successful, he began the process of producing the belt for others. Since its inception, the PD Belt has undergone numerous changes to improve performance and comfort. The PD-Belt comes in 5 convenient sizes to accommodate a wide range of patients: Pediatric (16"–24"), Small (23"–36"), Medium (30"–44"), Large (36"–48"), and XL (46"–58"). Currently, the belt is the only device on the market to receive Medicare’s approval as well as a Medicare reimbursement number. This product is latex-free. 3 belts per package. 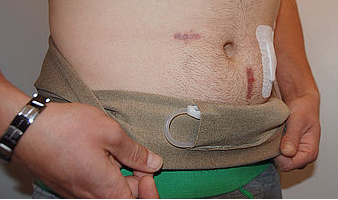 The PD Belt helps keep the catheter tube in place whilst eliminating the risk of the tube snagging on outer clothing. The belt is made from Lycra, which gives a perfect fit to your waist size. There is an inner pocket to secure the PD Catheter, and the velcro fastenings allows the fit to be adjusted as needed.